How I miss my jungle retreat! I was introduced to a place in Singapore called Bukit Brown by a friend in 2012. “Bukit Brown, haven’t you heard of it? It’s nothing like anything you’ve seen before. It looks like you’ve stepped out of Singapore.” As soon as I heard about a unique wilderness minutes from the city where one might visit the spirits of the dead, I was drawn to Bukit Brown and have been visiting my verdant sanctuary ever since. 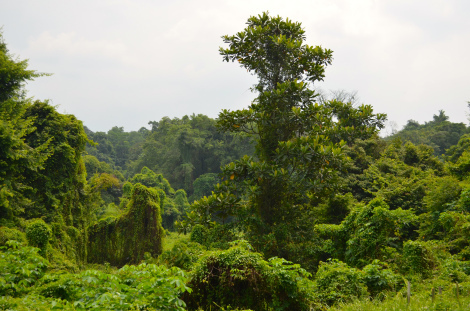 A patch of jungle surrounding an ancient cemetery is not a likely scene wedged in the middle of the tiny city state island that is Singapore. Bukit Brown, meaning “Brown’s Hill” is one of Singapore’s oldest historical sites. Are we still in Singapore?